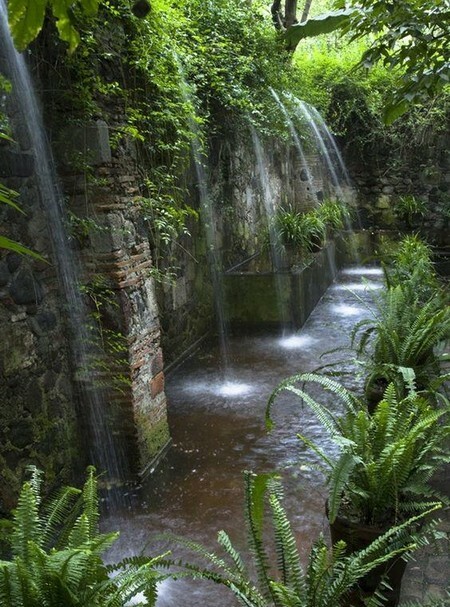 Cascades have frequently been used in great and grand gardens, especially in Italy, to create spectacular stairs of water. lt is quite possible to make more modest cascades in keeping with smaller gardens. 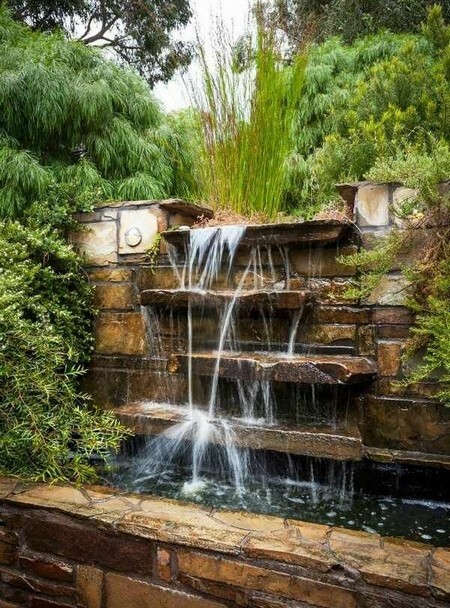 On a sloping site, a narrow channel, interrupted at intervals by a short cascade and an occasional octagonal or round pool, can create an enchanted atmosphere not unlike that of a Persian or Moorish garden. 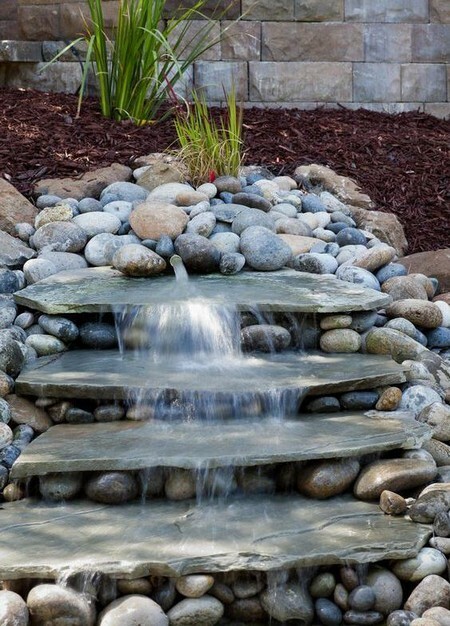 On a flat site, an informal cascade can be built quite easily, the water being circulated by a small electric pump. 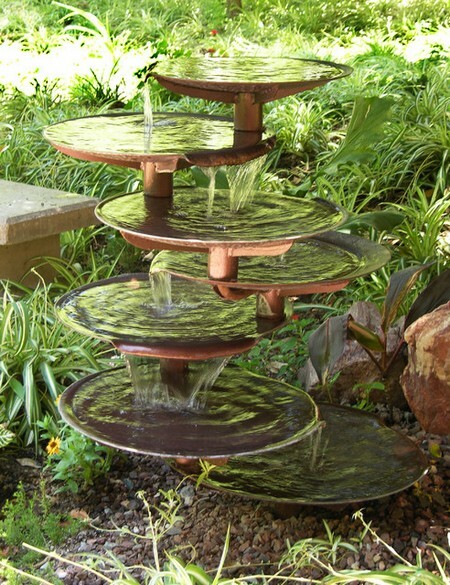 An unusual cascade suitable for a small informal garden can comprise a series of watering cans or urns lying on their sides, each emptying into the one below to create a kind of cascade. This idea could be developed in different ways using a variety of receptacles. 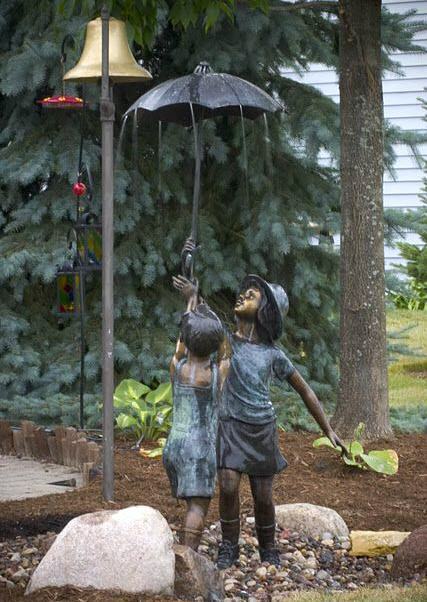 Fountains have become popular recently, partly because of the availability of comparatively inexpensive reproductions of traditional designs, and partly because of the mass production of small submersible pumps, supplied with a fountain rose jet and sold in kit form. 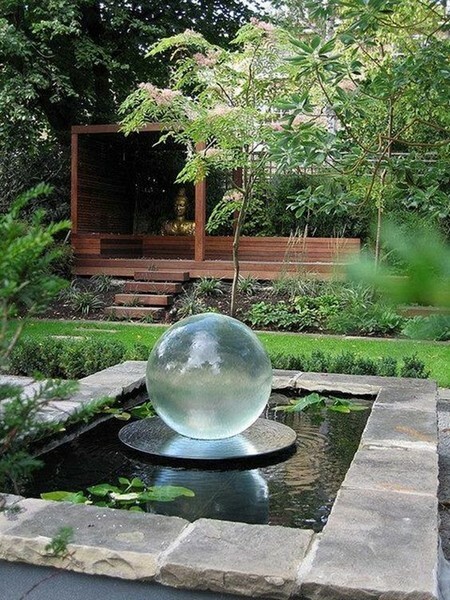 Installed in a part of the garden that becomes very hot during the day, a fountain has a distinctly cooling effect. Reproductions and copies of traditional fountain designs such as dolphins and cherubs are widely available. 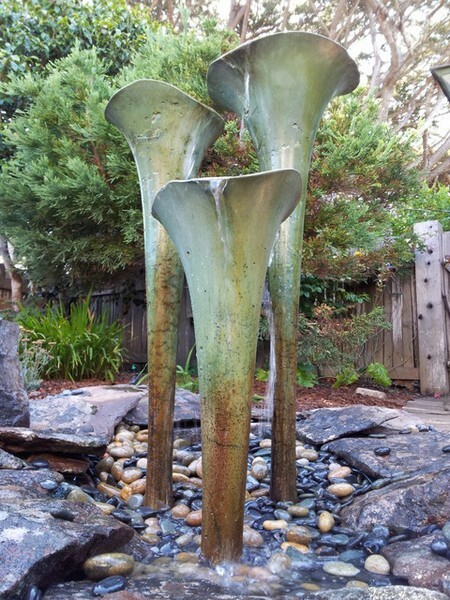 There are also some modern metal fountains in the form of leaves, twigs or birds, in which the water cascades down from one section to another.